Once again, an early start for a few of the coaches who headed to the laundromat to wash our players’ uniforms one last time in preparation for heading home tomorrow. We needed to be out of the rooms by 10:00 a.m. so that housekeeping could clean all the rooms in preparation for their next group. Wedau was very accommodating and stored all our luggage while our players participated in a final field session at the Sportschule. 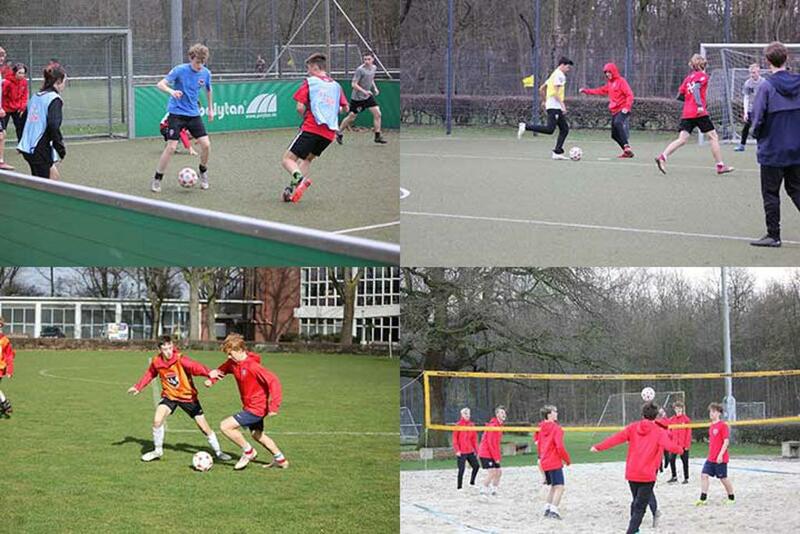 For the field session, our players were divided into eight teams of six, so we were able to have four games going at the same time. Points and standings were recorded, tracked and after 75 minutes a champion was crowned. Everyone enjoyed the opportunity for stress-free play. Four different game environments were created to challenge the players mentally, physically, technically and tactically as they chose: a small 4v4 turf field inside boards to keep the ball in constant play, an outdoor turf futsal-sized field, a small field with small cone goals, and a sand volleyball court. After the session the players cleaned up, had lunch and gathered their belongings to board the bus as we said goodbye to Wedau, our home for the last eight days. 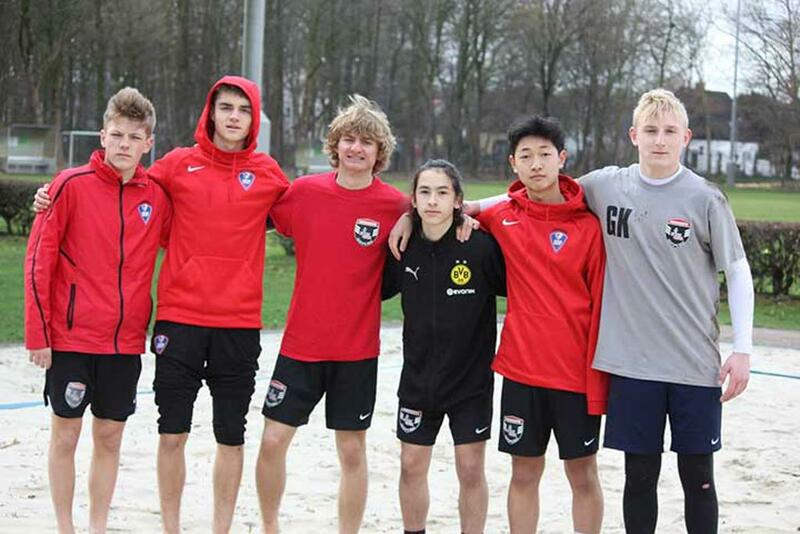 The atmosphere at Wedau Sportschule in Duisburg was special, allowing us to fully immerse ourselves into soccer and the experience of competing against teams from Bundesliga. Our departure to Frankfurt was easy and uneventful, exactly how we like it. In Frankfurt, we checked in to the H4 Hotel, where we will be staying for two nights. The hotel was ready and awaiting our arrival which made getting into the rooms a smooth process. Once we were all checked in, we enjoyed a fantastic dinner together in the hotel restaurant. After dinner, our players had some free time before lights out. We have another full day planned for tomorrow with a tour of downtown Frankfurt and a Bundesliga match at the Opel Arena, FSV Mainz 05 vs. Borussia Monchengladbach.